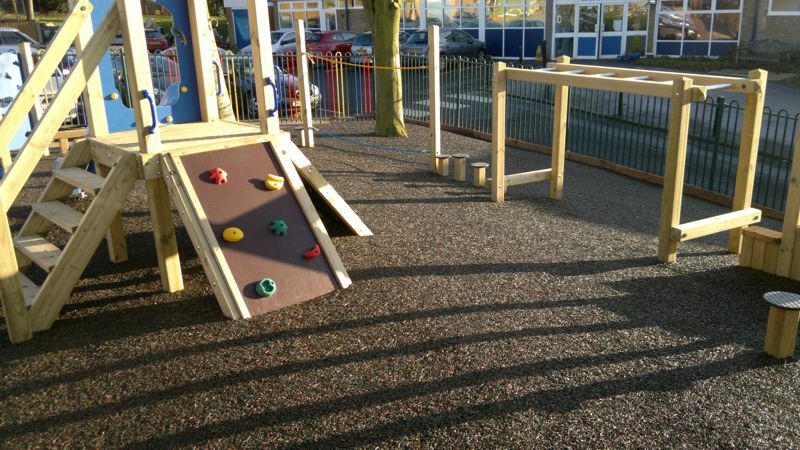 Abacus Mulchbond® bonded rubber mulch is a natural looking safety surface. 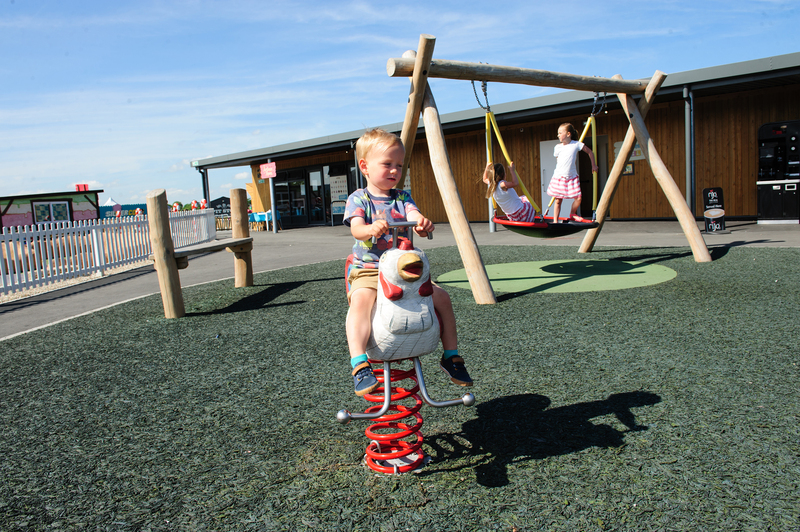 Our Mulchbond® is a durable and environmentally friendly surface containing 90% recycled tyre rubber which give the look and feel of wood bark chippings. 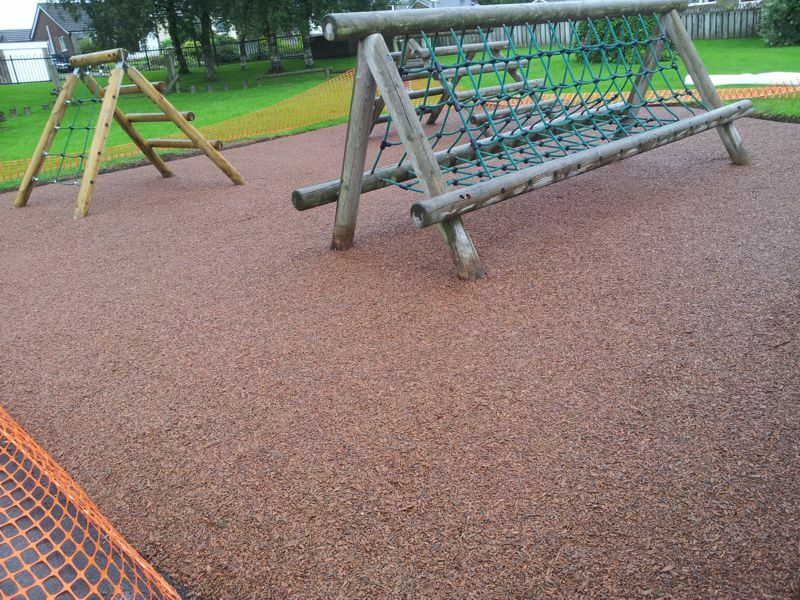 We have installed Rubber Mulch all over the UK and this surfacing type can be used in playgrounds, parks, recreational spaces, landscaping projects and seating areas. 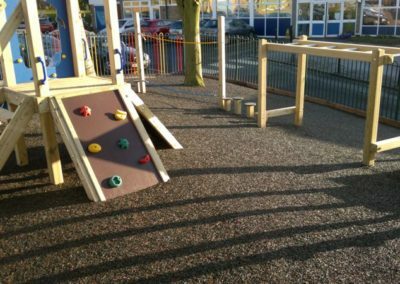 The natural look and feel of the surface means it will blend into surroundings and offer a durable and low maintenance surfacing solution. Our Mulchbond® is fully porous and maintenance free, no costly topping up of material or regular raking required! 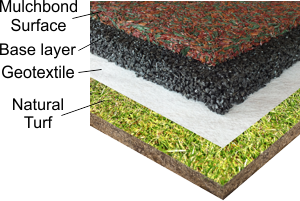 How is the Rubber Mulch made? 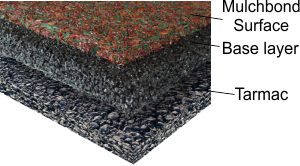 The Rubber mulch process encapsulates recycled tyre rubber in a tough PU polymer coloured with light stable pigments and, once fully cured, the pigments and coating are both non-toxic and inert. The coated tyre rubber is available in two forms, shredded rubber fibres for use in loose fill and bonded rubber mulch surfaces. 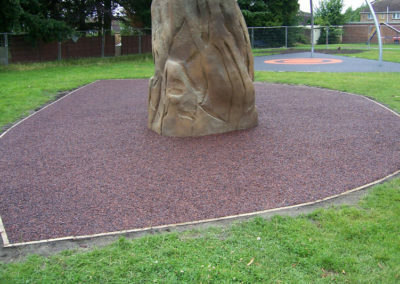 The coating process not only colours the rubber but also primes the rubber bark chippings such that when the materials are mixed and laid with the final binder on site, significantly higher tensile strength and durability can be achieved. Also as the density of the rubber is around 15% lower than most virgin products the spread rates are better and less kilograms per square meter are required further reducing costs on most projects. How is the Rubber Mulch installed? 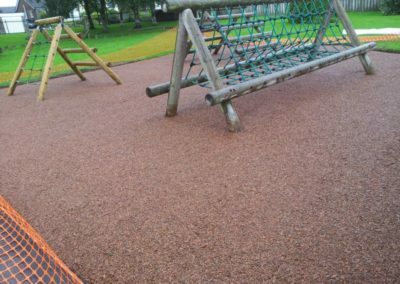 One of the main benefits of Mulchbond® is that it can be installed directly onto grass, this offers a more cost effective solution than other safety surfacing. 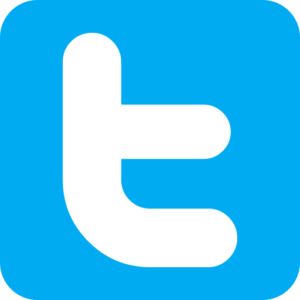 This surface has been fully tested to EN1177 (2008) for critical fall height by Labosport UK – report numbers LSUKD.13-0331 and LSUKD.13-0807.